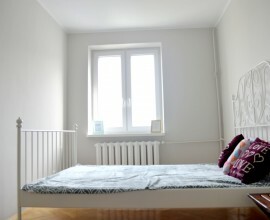 To rent 3 rooms apartment at Sereno Fenna street (just next to Basztowa street, 3 minutes walking to the University of Fine Arts and Krakowska galerry). Apartment an area 60 sqm consist of 2 bedrooms and living room conected with kitchen. Flat is fully furnished with furnitures and all apliances. Ideal location 5 minutes walking from Main Market Square! Price: 2600 PLN total price.